"Classic Oxford weave from 100% cotton with a natural stretch for perfect fit and free movement." 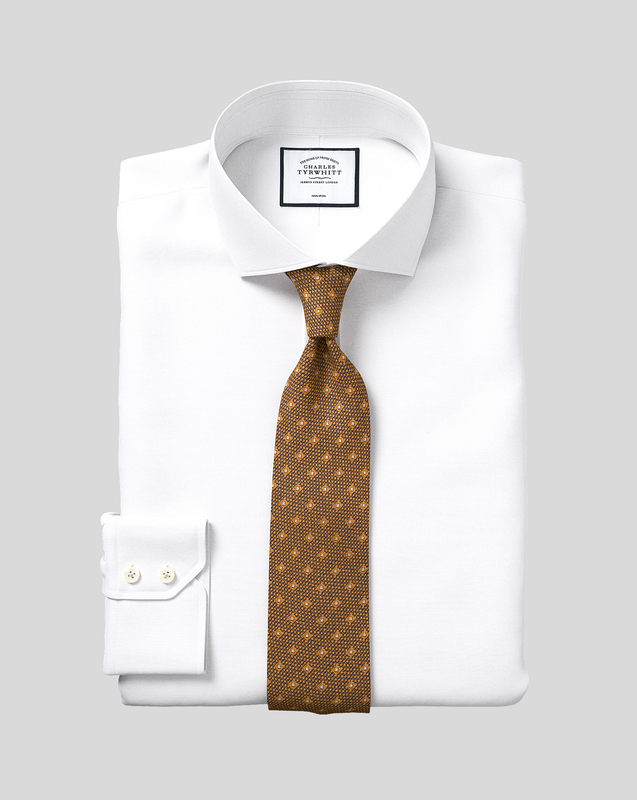 Very nice deal (3 shirts for $99) to try the stretch fabric. Would've preferred a French cuff option. Great deal on great fitting, as close to taylored, shirts that you can get online!